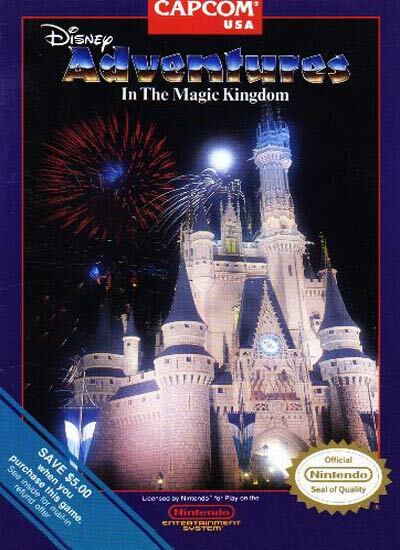 You have to search the Magic Kingdom for six silver keys in ADVENTURES IN THE MAGIC KINGDOM. Before you gain entrance to an attraction, you will need to answer some Disney trivia questions. Face the ghosts of the Haunted Mansion, take control of a runaway train on Big Thunder Mountain, or fight the Pirates of the Caribbean. For something different, tackle the challenges of a black hole or a maze in Space Mountain and Autopia. Get ready for one of the biggest adventures imaginable in ADVENTURES IN THE MAGIC KINGDOM. Find six silver keys; answer Disney trivia; face ghosts and pirates; navigate mazes and black holes; take control of a runaway train.